This map contains territory of Russia, of Ukraine. You can find here city Kursk presented. On this map city Staryy Oskol download for free. Displayed city Gubkin free download. Displayed town Shchigry free download. town Oboyan' download for free. On this map town Prokhorovka for Garmin. Displayed town Ivnya download for free. On this map town Kshenskiy download for free. Displayed town Troitskiy marked. You can find here town Pristen' marked. Displayed town Solntsevo download for free. town Cheremisinovo free download. town Skorodnoye marked. Displayed town Tim marked. 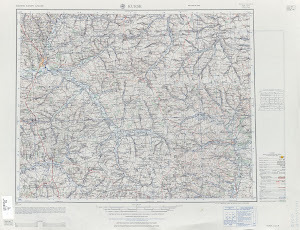 On this map town Voroshnevo presented. town Kirovskiy for Garmin. You can find here town Chernitsyno for Garmin.